That's my old man there. 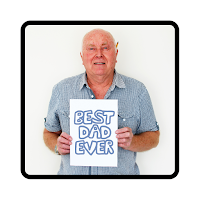 I asked if I could take a photo for a Father's Day thing I was doing online and he obliged, no questions asked but a glimmer of excitement in his eyes. That's the thing about my Dad, he's always happy to help, he's always interested, excited & engaged, he loves learning and trying new things and is constantly on the look out for a new project. I remember as a child and growing up he would sometimes take me to work with him, he taught me how to use the 'big wood cutting machines' and just trusted me to do my thang, even if that was just chopping up planks or swimming in wood shavings (I adore the smell of wood, takes me right back to those happy days). I could explore the warehouse and even tinker around on the fancy calculator that shot out paper! He didn't care if I got dirty or if I accidentally broke something, fun and learning were (I can see now) his main concerns. I owe a lot of my 'I can do that' attitude to my Dad, he's a great teacher and has the patience of a Saint. He turns 80 this year and yet is still working on major renovation projects at home, he looks after my Mum full time (cue patience of a Saint) and he is always happy and cheerful. I just hope that I can be the kind of parent that he is one day. My Dad is the best Dad because he showed me SO much, he taught me things without me even noticing at the time and just let me be. I realised not so long ago that winter is my favourite season because those moments when a loved one comes in from the cold, and they give you a hug. Well, the smell of the cool air always takes me back to the nights my Dad would come in from work, I'd hide under the table but he would always find me (how did he KNOW) and I'd give the biggest 'I miss you' squeeze I could. Then I'd sit on his back and hold on for dear life as he pretended to be a crazed tiger running round the living room!! So thank you Dad, I know you probably won't read this as you don't go online that much but you are truly amazing. 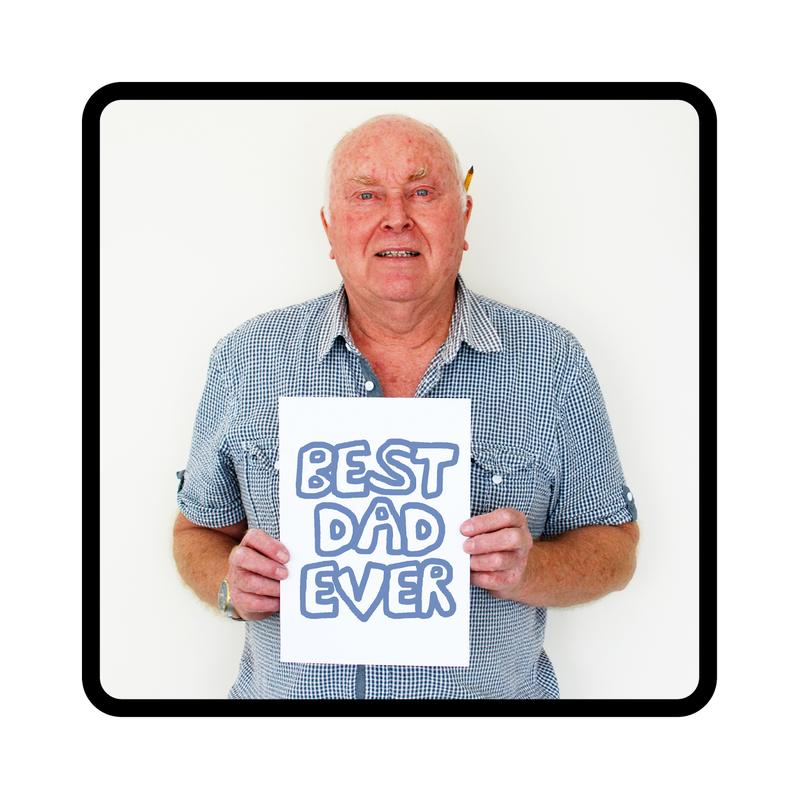 What's the best thing about your Dad? Let us all know in the comments below. Welcome to Prints Of Heart! So cool to see you. Join me on my travels with amateur graphic design, running a small business, being embarrassed about the whole darn thing and probably some cat stuff too! ©PrintsOfHeart2014. Ethereal theme. Powered by Blogger.